What can you expect from your hard-earned money when it comes to Facebook Ads? The most important starting place is to set a goal for your Facebook Ads. Have you thought about why you are advertising? What is it that you want to achieve from your ads? An example goal would be that you want to increase traffic to your website from Facebook. Facebook Ads are such an integral part of doing business these days. The reach that social media extends to is larger than you could ever imagine. More than one billion people are active on Facebook. Compare that thought to how many people are still reading the newspaper ads. 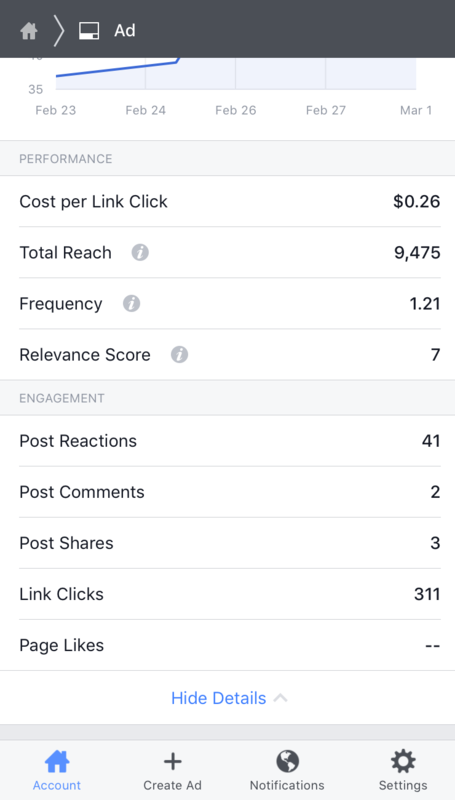 This is why it is important for us to go over setting a budget because that hard-earned money you pour into Facebook Ads is going to have an incredible result. We have attached a few examples from some of our former ads. As you can see, it cost 26 cents per link click. The link we are sending our customers to is a catalog for a production sale. We know it is going to cost you 26 cents to send someone to your catalog. How many people are you wanting to send to your catalog? 1000? 2000? 10,000 people? When designing your budget, you’ll need to know how much it takes to reach your goal. Here is another example: this one is costing us half a cent per engagement so maybe you want 100,000 people to engage with this post. We know that you need to spend $500 on your Facebook Ads in order to reach that target audience goal. 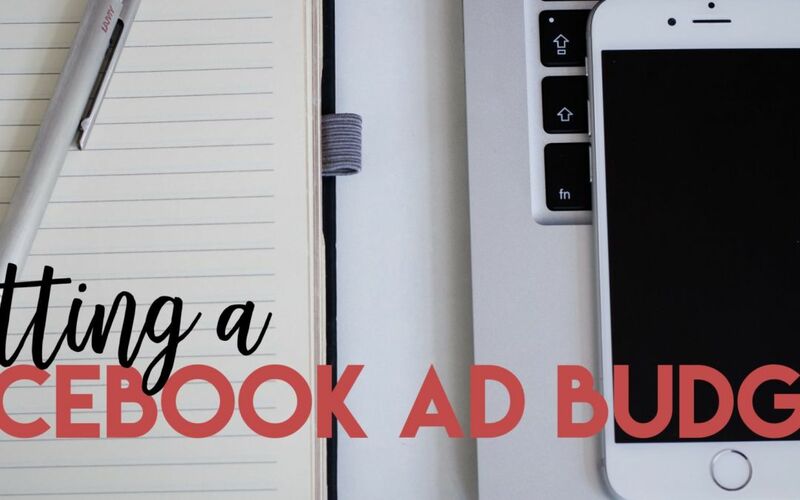 Facebook Ads are not one size fits all, so don’t take these examples and feel like you aren’t doing something right if these are not the results you are getting. We have spent tens of thousands of dollars on ads over the past few years, which is why we want to take what we have learned and help you budget your money correctly. 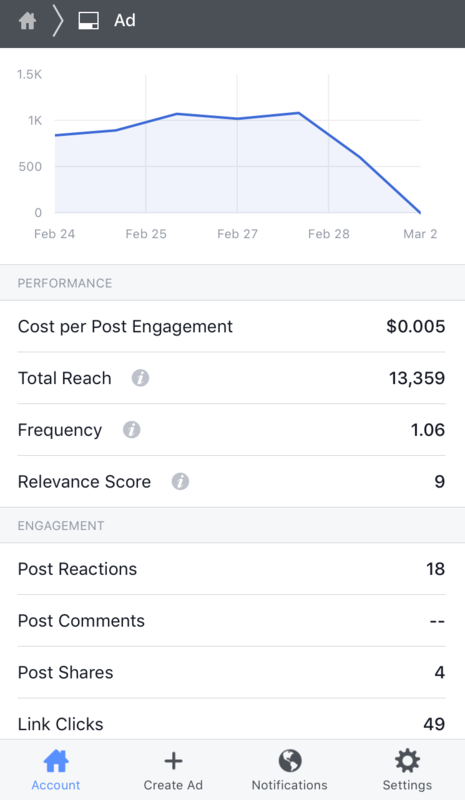 You can use a three day Facebook Ad test to find out your conversion rate so you see exactly what your money is pouring into. Click here to watch a video of Karoline explaining why the three day Facebook Ad test is so vital.